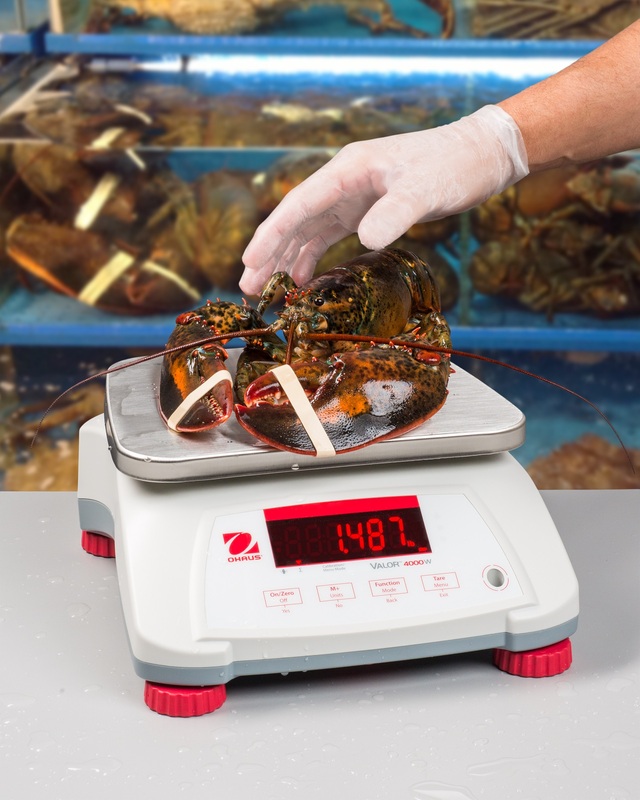 A new compact, legal for trade food scale that is NSF Certified, USDA-AMS accepted, supports HACCP certified systems and is designed for use in harsh environments is being introduced by Alliance Scale, Inc. of Canton, Massachusetts.. The Alliance/OHAUS Valor® 4000 Compact Bench Scale features a puncture resistant keypad, touchless operation, and provides accurate measurements within half a second. Suitable for use in any harsh wet or dry food service environment requiring approvals and certifications, this food scale has an IPX8 water-resistant design and offers large LED front and rear displays. Fully washdown capable to assure a sanitary, bacteria-free food service environment, the Alliance/OHAUS Valor® 4000 Compact Bench Scale has non-slip leveling feet at the outside corners for optimum stability. Providing 1:6,000/1:7,500 maximum external resolution and 1/2 second stabilization, it includes checkweighing and percent weighing modes for added versatility. The Alliance/OHAUS Valor® 4000 Compact Bench Scale is priced from $385.00 (list), depending upon model. Pricing is available upon request.